Showing results for tags 'fabrial'. So, if I am correct (though I am probably not) there are fabrials that can change the direction of gravity on an object. If they can "bind" an object several times in one direction, then it could move extremeley fast. My Idea being to bind a bullet down a rifled barrel, fast enough to make it spin stabilize. This seems like it would be an excellent device for warfare and hunting things like whitespines wnd greatshells (with fabrial cannons in the last case). Adding a feed system would instantley make a weapon powered this way fully automatic as long as the fabrial is turned up. Of course all of this relies on a fabrial that can change and multiply gravitation on other objects. I would be curious of the ideas of others upon this subject. If anyone has any ideas about other forms of fabrial weapon (like using a spanreed as a tactical pen) I would also be happy to hear them. Elsecallers can turn one object in the Physical realm into something else, by convincing it to change in the Cognitive realm. I believe for this purpose you need to be able to communicate with the spren directly and understand each other. Soulcaster can change one object into a specific thing. Let`s say turn anything into smoke. 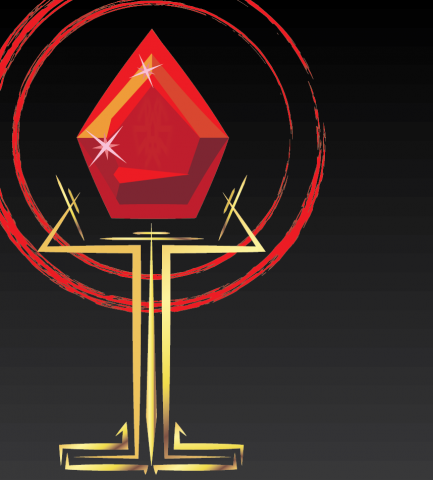 The structure of the fabrial consists of: a trapped spren of specific type, specific gem, stormlight and metal casing. We know how all of the components work, except the spren. Here comes my theory. Since the elsecaller is able to convince the specific spren to change form in PR, the same process must be used with the fabrials. I believe the spren is used as a translator or more likely as an example. The Soulcaster can’t directly communicate with spren, he uses the trapped spren as an example of what he wants. I believe the interaction is very crude, like pointing a finger to an object and trying to convince the one you speak with, to take the form of that object. No words, no civil communicating, just intimidation. You use the trapped spren as an example of what form the other object has to take and what would happen if he doesn`t comply. Since the fabrial only has one type of spren trapped in it. You can only point to that same spren every time you soulcast for instance. Threatening the object in front of you to change in to this particular spren you already trapped. That's the reason why soulcasting fabrials can change everything into only one thing (ex: smoke, oil, etc) Where the Elsecaller can turn everything into anything by using the benefit of mutual understanding. So it`s all a matter of communication and understanding. While the Elsecaller can communicate freely with all types of spren. The fabrial user can only point to what he wants and his only type of communication is intimidation. Elsecallers convince, while normal humans only threaten other spren, by using one of their kind as an example. Has anyone else noticed that the device that the Ire had in the center of their fort looked very much like a warning fabrial. Please tell me if I am total wrong. [OB] Half-shards? What Could Go Wrong? So wait! Our heroes need lots of Knights Radiant? Taravangian has means of reducing the spren available to bond potential Knights? Luckily Mr. T is a trustworthy ally, not a traitor making private arrangements with Odium. Otherwise I might be worried. I'm sure it's just a random bit of world-building and not a detail that will turn out to be relevant later. Are these spren that allow manipulation of Gravity, Adhesion, Tension? I imagine the realmatic scholars among us can figure out what orders' spren is involved. I look forward to learning from the responses. Fabrials are the third magic system on Roshar There should be 10 types of fabrial Brandon's also said that Roshar could be considered to have 30 magic systems. We know there are 10 Surges, and the Ars Arcanum mentions “the ten levels of Voidbinding”. So that leaves 10 forms of the third system, Fabrials. The known types The Ars Arcanum mentions five fabrial types: Augmenter, Diminisher, Conjoiner, Reverser, Alerter. The Augmenter/Diminisher and Conjoiner/Reverser are paired; the Alerter doesn't seem to have a counterpart. Navani unveils a sixth type near the end of WOR, the Attractor. New types Just as how Surges come in pairs, I'd suggest that fabrial types are inherently paired. So we can speculate on the counterparts of the two “unpaired” known types. The opposite of an Attractor would be a Repeller. Could be used to keep things dry, drive away pests or mold etc., or maybe deflect arrows. The opposite of an Alerter might be something like a “Jammer”. This might not just block Alerter Fabrials, but also stuff like Spanreed communication. That leaves two types totally unknown. EDIT: By "proper" fabrials I mean the things Artifabrians make. Not the "ancient fabrials" like Soulcasters, Oathgates, Shardplate. So in the Prologue to Oathbringer it is explicitly stated that heating fabrials work by trapping a spren. Did we know that before? It was theorized in the Ars Arcanum, but I don't recall anyone (Navani?) specifically stating it. The focus always seems to be on the stones involved. Do all modern fabrials require a spren to be trapped in their stones? It seems obvious that the older ones don't e.g. soulcasters, oathgates. Unless these shouldn't even be considered fabrials, but I'm not sure what else they'd be called. That would raise some new questions, such as what happens to a spren trapped in the stones for the "Pairing Fabrials" where the stone must be split in two? This thought was triggered in earnest when we learn of a spren that seems intent on warning people of things in chapter 14, reminding me of the alerter fabrial back from the WoK interlude. I feel like I need to do another read through and rethink various applications of fabrials. Just a little doodle I threw together. 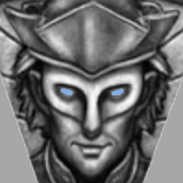 Can We Talk About Shardplate? So recently I finished my re reading of SA, and somewhere into WoK I got into a discussion with some friends about shardplate, and it got me thinking. At this point probably stop reading if you haven't finished Words of Radiance. I'd like to see what people think about shardplate, since it seems it doesn't get as much attention as the other various shards. I had been thinking about the workings of plate, it started with realizing that if shardplate was really made out of metal, it should dent, except it doesn't, it shatters. When I brought this up to my freinds they seemed to think treating plate like a fabrial was silly since doing that in the past turned out to be false (i.e shardblades being spren). They believed that construction of plate was in some way related to the Nahel Bond, as shardblades are. Despite this, I'm pretty sure they are just fabrials. We know the gemstone in a shardblade isn't actually related to its function, but shardplate requires them AND a steady supply of stormlight. If the gemstones aren't infused then the armor is anything but light. And, probably most importantly, everything shardplate does can be related to the surges. Shardplate is metal, yet it shatters instead of deforming, I imagine that is is related to the surge of either tenstion or cohesion, but I can't say for certain since we don't yet know much about those surges. Progression or transformation would allow the plate to regrow from a single piece. The misting of the visor due to illumination. Obviously there's some pretty advanced fabrial science that is beyond our current understanding but as we've seen, the ancients had some pretty wicked knowledge in that department. This brings me to my second topic. History. Recent and not so recent. The vision where dalinar meets Nohadon seems to imply that Bond granted surgebinding was present long before the founding of the Knights Radiant. This is important because I believe shardplate was the hallmark of the Knights and came into existence around the same time. In fact I think this time was one of the few where it's construction was possible given the level of technology at the time. That they managed to construct something as sophisticated as the oathgates makes me think they could manage shardplate. As for recent history, both Kaladin and Renarin seemed to have no problem touching shardplate, which doesn't help the assertion that shardplate is of the spren. Something both my friends were eager to prove. tl;dr: Shardplate is just a very advanced fabrial that was made at the same period as the founding of the KR and the construction of Urithiru. I was looking through some quotes and came across this. Besides the above quote there are a few other things about shardplate that I think are important in figuring out what they are. 1. They require stormlight to function. A lot of other posters seem to think that Shardplate comes from either a further level of declaring an Ideal or via some secondary bonded spren. This is based on that we know that Blades originate from bonded spren. But we also know that the gem placed in a bonded Shardblade can go dull and the Blade will still work perfectly fine. Shardplate on the other hand becomes completely nonfunctional once the Stormlight in its gems runs out. 2. The Gems in Shardplate crack from normal use. In WoK when Elhokar's Plate failed they were unsure if the cracked gems were just a normal but coincidental event or purposely planned, so we know that gems failing and cracking in Shardplate is a fairly normal occurance. 3. The only other time we see gems cracking from normal use (that I can remember) is in Soulcasters (maybe also happens in other fabrials). 4. While Shardplate we see is mostly used against other Shardwielders to protect against a Shardblade, the original intent was to fight Voidbringers. Okay, now onto the basic theory: Shardplate is an advance Fabrial that combines a Soulcaster (which would produce Aluminum, and allow the suit to rebuild itself) with other fabrials like an Augmenter (these might fall un der the Tension category of Surges, for increased strength) and one that deals with Cohesion (allowing the metal to constrict and lossen so it fits people of various sizes and let segments meet without joints). The soulcaster builds the armor out of Aluminum as it resistant to attacks of a magic nature. We see this when Adolin is struck by the lightning created by the Parshendi and that it is completely nullified. The KR built advanced fabrials that allowed them to replicate powers of other orders. I think Shardplate was their Masterpiece in that it combined the powers of many orders. Speculation: Modern Shardblades and Plate are copies. According to Dalinar's visions, Shardplates and Shardblades work differently in the "modern" era of Roshar than in the time of the Knights Radiant. Also there are a lot less shards in the world than there should be. Chapter 52 "Highway to the sun" page 730 Where did all the other blades go and why did the plate behave so differently? What if the plates and blades are made like fabrials,and are copies of the knights' equipment. Yes in that same chapter I quoted, people are picking up the Knights' blades and plate and fighting over them, but it doesn't show them using them. What happened to the missing equipment? What if it deteriorated without the Knights and their spren powering it? They could have copied the blades and plate. They copied surgebinder powers. Chapter 72 "Veristitalian" page 979 They didn't have those fabrials in the time of the Radiants. Chapter 62 "Right for Wrong" page 861 So the soulcasting fabrials must have been made later. They are close to making shards now. Maybe they made these copy shards in the past. If the shards are copies, then that could explain why they didn't feel right to Syl or Kaladin. It might also explain why windrunners in the past had shard plate, but Szeth could not use plate with his surgebinding powers. So what do you think? 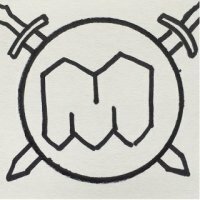 In the interest of finding mundane weapons capable of adequately damaging shardplate I thought I might do some calculations. From what we know so far there are two weapons capable of cracking shardplate with one blow and possibly destroying shattering shardplate in subsequent blow. Namely a Warhammer and a massive rock-sling. In Chapter 65 of The Way of Kings we see some Parshendi slinging head-size rocks at Dalinar, which slightly crack Dalinar's shardplate. In order to do these calculations I'm going to have to make quite a few assumptions: okay, now for some calculations: So now we've got a baseline. I'm going to assume that 1580 or so Joules is close to the minimum amount of energy required to crack shardplate. Long story short, here is a table of some other weapons with their approximate Ek calculated: As you can see, the two heaviest warhammers, the (3300lb draw-weight) siege-crossbow and the 5500 lb draw-weight ballista all have an effective Ek exceeding or near to 1587 Joules. The shardbearer's warhammer shown is probably capable of shattering shardplate in a single blow (if it's a direct hit, and not say, a glancing blow). The bows and crosbows have their draw weight indicated (the weight, in pounds, required to draw the bowstring/crossbowstring back). The 3300 lb draw weight siege-crossbow treads the line between a ballista and a crossbow, being that it is barely portable (up to 25 kg). There are probably quite a few other heavy weapons capable of adequately damaging shardplate, which I can't think of at the moment. If you can think of any, please point them out. It's also interesting to consider the possibilities of fabrial enhancements in improving these weapons anti-shardplate capabilities. What sort of enhancements do you think they could be given? EDIT: Added a ballista in the table. Navani, our beloved scientist and mother of the King, has two journal entries including pictures and notations in the Alethi script, which i recently learned to read. After translating the entries, and then learning that the translations are already online, it came to my attention that Navani has a device known as an emotion bracelet. This bracelet allows you to detect the emotions of those around you, though it also detects your own and those of people in far off rooms, but seems to focus entirely on one person. How it works is it focuses on one person (seemingly of it's own accord, though possibly it focuses on the closest person feeling strong emotions) and different gemstones light up, corresponding with different emotions that person is feeling. Now, with emotional spren, this doesn't seem so useful an object, but consider, we have only seen a person attract one kind of emotional spren at a time, as well as the fact that less powerful emotions will not attract spren. Using this, since nobody knows of the existence of this fabrial that we know of except for her, Navani has put herself into an extremely powerful position. Remember how Navani has a reputation for being able to know all of the rumors in a location hours after she arrives? Perhaps she is using this device as a sort of mind-reader so to speak, using the emotions displayed+context clues to determine what is happening and what a person is thinking. I believe she is using this to help the king, since he is so inexperienced. My opinion of Navani has grown much at this discovery.